The Graph of the Month is an initiative launched January 2013 by the Council of Independent Colleges in Virginia. The monthly graph and fact will highlight Virginia's private colleges. Our hope is that this data will provide helpful information about Virginia's non-profit private colleges. If you would like to be added to our distribution list or have any questions, please email graphofthemonth@cicv.org. 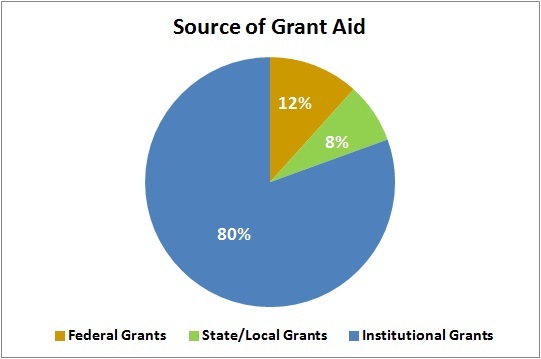 Established in 1972, the Virginia Tuition Assistance Grant (TAG) program provides grants to Virginians attending a Virginia private college or university. Approximately 23,000 Virginians will receive a TAG award of $3,100 this year. Virginia's private colleges are becoming the access institutions in the Commonwealth. The most recent data shows that 50% of all undergraduate students from Virginia's private colleges receive Pell Grants, which are received by the families with the greatest need. Virginia private college alumni serve Virginia public schools in every region of the Commonwealth. 17,000 teachers currently employed by Virginia public schools received a degree from a Virginia private college. Source: Virginia Department of Education, Office of Teacher Licensure (2013-2014). Includes all instructional personnel required to hold a license. First-time full-time undergraduate students at Virginia's private colleges and universities receive almost $180 million in grant aid; 80% of which is provided by the institutions. Virginia's private colleges have a commitment to increasing diversity on campus. 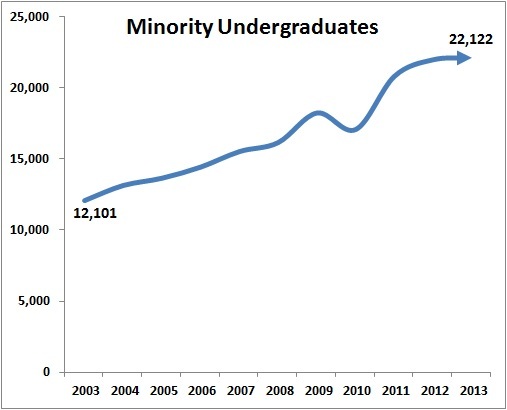 Over the past decade, the number of minority undergraduate students enrolled at Virginia private colleges has increased 83%. Source: State Council of Higher Education for Virginia (SCHEV) Tuition & Fee Report (2008-09 to 2013-14); IPEDS (2008-09 to 2012-13); CICV Tuition & Fee Survey and individual college websites (2013-14 to 2014-15). Virginia private college data includes only current SACS accredited institutions. Data updated September 2014. Virginia's private colleges have a commitment to STEM-H and high need areas. 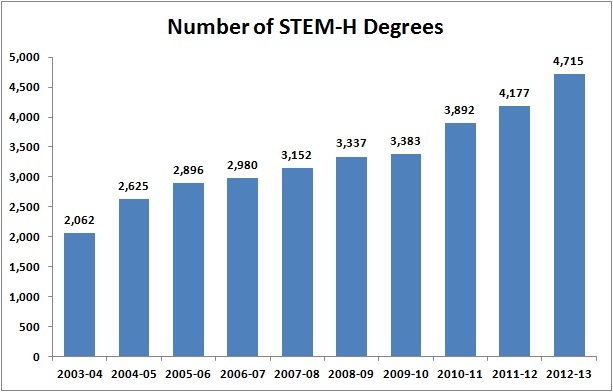 Over the past decade, the number of STEM-H degrees has increased 129%. Launched in 2010, the Council of Independent Colleges in Virginia (CICV) Benefits Consortium is a self insured benefit plan for 14 Virginia private colleges. 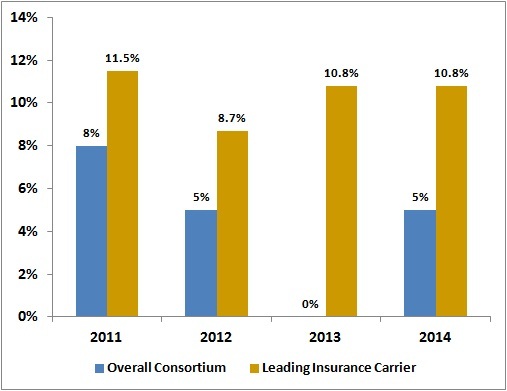 After 4 years, premiums for the 3,300 college employees covered by the Consortium are approximately 20% less than those of a leading insurance carrier. 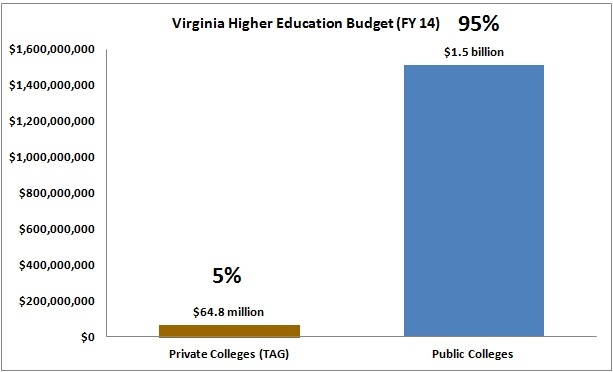 5% of Virginia's higher education budget benefits the 22,000 Virginians attending Virginia's private colleges and universities through the Tuition Assistance Grant (TAG) program.